Water. It shaped and continues to shape our planet. Earth's first life came from the water and we still depend on it to live. Water is also fascinating and magical. The easiest way to sum up water is some things live in it, some things are attracted to it and everything needs it. Our backyard bird feeder attracts all sorts of little birds, and the juncos are especially cute. 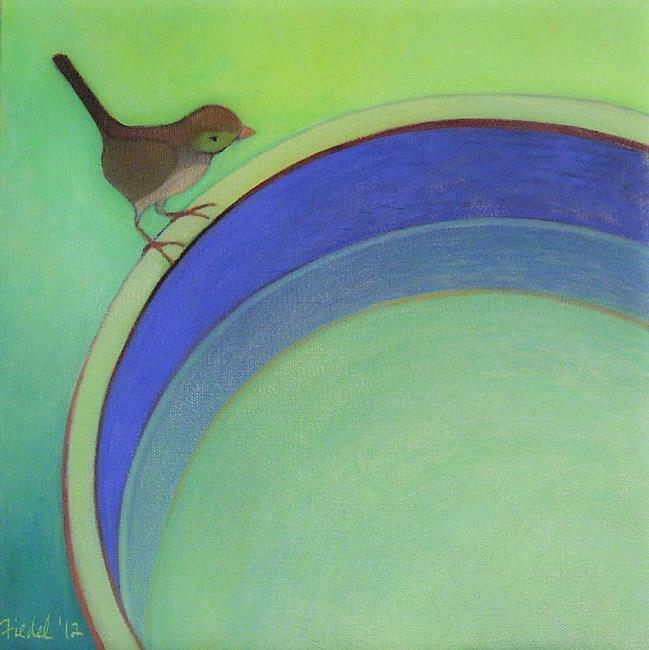 I painted this one contemplating a morning dip in a birdbath.